ISLAMABAD: Pakistan and Afghanistan are moving towards joint management of common rivers starting with construction of a 1,500MW hydropower project on Kunar River — a major tributary of Kabul River contributing almost 13 million acres feet (MAF) annually to Pakistan. 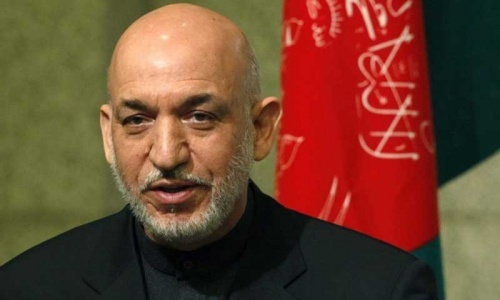 The two sides decided at a meeting on Sunday to pursue the matter on technical and political forums over the next two days as part of, and on the sidelines of, President Hamid Karzai’s visit on Monday, sources told Dawn. 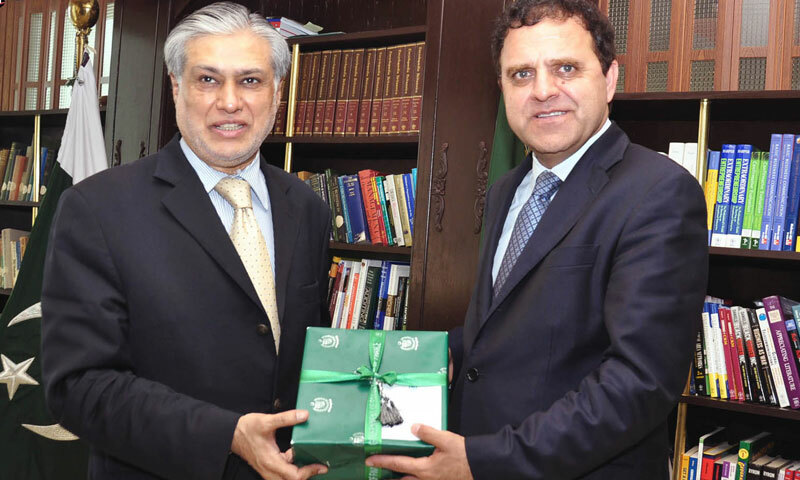 Finance Minister Ishaq Dar and his Afghan counterpart Dr Hazrat Omer Zakhilwal led their respective delegations and “held an in-depth discussion to explore ways to enhance bilateral trade and economic relations” between the two neighbours, according to an official statement. Beginning with cooperation on 1,500MW hydropower project on Kunar River, the two sides are likely to progress towards the Kabul River Basin Management Commission — an institutional arrangement on the pattern of Indus Waters Commission between Pakistan and India, the sources said. “The beginning has been very good. Finance Minister Dar raised the issue and Dr Zakhilwal was very positive and forthcoming on joint development of a mega hydropower project,” the sources confirmed. Pakistan gets about 17 per cent of water supply from Kabul River when Indus flows decline in winter. Pakistan and Afghanistan share nine rivers with annual flows of about 18.3 MAF. Out of this, Kabul River has water flows of 16.5 MAF, to which Chitral River, originating in Pakistan, contributes about 8.5 MAF. After entering Afghanistan, Chitral River becomes Kunar River, joins Kabul River near Jalalabad and then re-enters Pakistan. The average annual flow of Kabul River is about 21 billion cubic meters (BCM). Kunar River, with a major contribution of 75pc in Kabul flows, draws more than 60pc of water from the Chitral area of Khyber Pakhtunkhwa. Islamabad has been worried over New Delhi’s increased help to Kabul for development of a number of storages on Kabul River without addressing Pakistan’s concerns. Pakistan had previously hinted at diverting Chitral River before its entry into Afghanistan in the event of attempts made to deprive it of its due share. The United States and the World Bank have been encouraging Islamabad and Kabul for more than four years now to have an institutional arrangement for beneficial sharing of common waters. The World Bank had in fact offered finances and services as an ‘honest broker’ to help two neighbours in joint water management under a bilateral treaty on the pattern of Pak-India Indus Waters Treaty of 1960. The lending agency that had brokered the Pak-India treaty and later helped Pakistan in development of Mangla and Tarbela dams has already done necessary work, including arrangement of about $12m from five other lenders to finance at least four technical studies and the negotiation process. “It is in the bank’s financial clout and its worldwide experience that provides the necessary incentives for reaching a trans-boundary agreement and paving the way for its successful implementation,” and promote crucial dialogue and cooperation for economic development and security in the region, said a World Bank communication seeking support from the two neighbours. 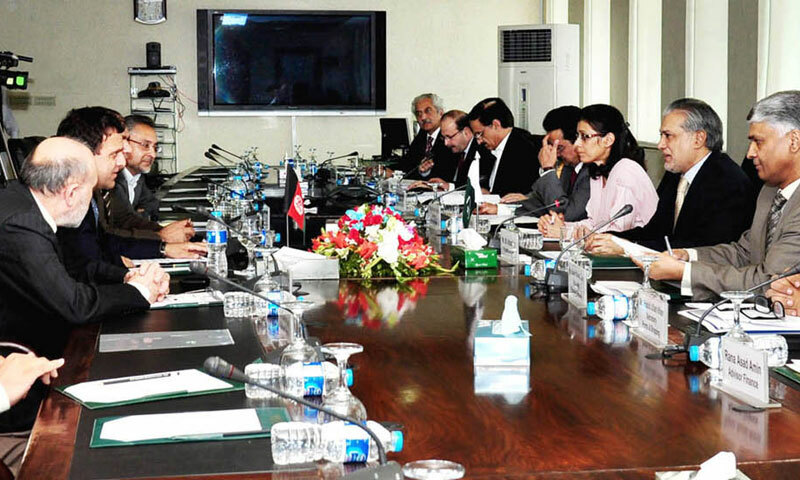 According to the official statement, the two finance ministers agreed to overcome hurdles to exploit the tremendous economic potential which presents opportunities to enhance economic cooperation, trade and greater connectivity between the two countries. The two sides held discussions on cooperation in areas of communications, railways, Afghan transit trade agreement and the power sector. Mr Dar also took up the matter of the need for a double taxation treaty between the two countries for encouraging private sector investment. The Afghan finance minister welcomed the proposal and termed it positive and said Pakistani construction companies have experience in undertaking huge infrastructure projects which should be utilised by Pakistani firms to avail the opportunity to work in Afghanistan where the government had launched huge communication projects. The two sides agreed to hold a meeting of the Joint Economic Commission in Kabul in October to review the implementation status of the decisions taken in this meeting and to explore new avenues to enhance the economic cooperation between the two countries. Great to see the two neighbors finally understanding the necessity of mutual cooperation. Things would only look forward from here. Good initiative by Pakistan and afghan government and it will help both the states to overcome the energy crisis. Pak- Afghan relations have seen ups and downs throughout the history. Despite of all differences we know that Pakistani people and Afghani have blood relations and close borders separated by 2640km long Durand line. Pakistan has played vital role in order to bring peace and security in Afghanistan and helped many times. Nearly 3 million afghan refugees are still enjoying the refugee status in Pakistan. In future both states will cooperate in other sectors as well. Pakistan should invest its own by diverting Chitral River into its tarritary before its entry into Afghanistan as we have bitter experiance of Afghanistan's non serious committments and blame game against Pakistan. Pakistan should also re-name Kabul River as CHITRAL RIVER because it flows from Chitral's extramely Northern Area of Shah Jinali of Torkhow Valley and Quram Bara Lake from Yarkhun Valley. Well, sound like a a damp squib, heard all before. Pakistan has not been sincere all these years and as a result Afghanistan has paid a massive price due to the insecurity which it has perpetrated has effectively had its toll in all spheres of life in Afghanistan. Of course it had its toll in Pakistan too. Afghanistan must be careful, APTTA is a good example of the "good" faith and cooperation from Pakistan. All interactions with Pakistan must be on principles and equal basis, anything less than should be thrashed off. India is playing dirty politics in the region again. Our Afghan brothers are being used and their minds are being filled with poison by india. @Afghan: Dear what else you need from Pakistan? We supported you for long and even you are still enjoying dual nationalities. Atleast be loyal to your birth place.